Darius will be making his Goodspeed Opera House debut as Phaedra in La Cage aux Folles. 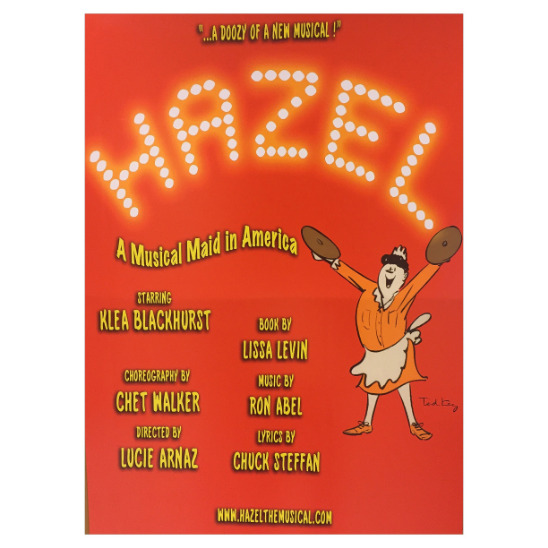 Darius will be doing a lab of the new musical, HAZEL by Lissa Levin. He will be working with director, Lucie Arnez and choreographer, Chet Walker. Darius doing his 1st play! He will play "Moth" in A Midsummer Night's Dream at the Guthrie Theater in Minneapolis, MN. The production was directed by Joe Dowling and David Bolger. Darius' 3rd Broadway show! He will join the cast of Rodgers and Hammerstein's Cinderella at the Broadway Theater. Darius danced in Justin Prescott's "Tumultuous Murmur" for BC Beat. For the 2nd year, Darius will be a guest teacher at the Dance Conservatory summer intensive at St. Paul's School For Girls, in Baltimore, MD. Darius filmed a music video starring the British singer-songwriter, Estelle! The video is for her 2nd single, "Conqueror", off her 4th studio album, True Romance and was directed by Paul Jung. The video will be released on July 21st, 2014. Darius with his partner, Jenelle Figgins and choreographer, Robert Garland. 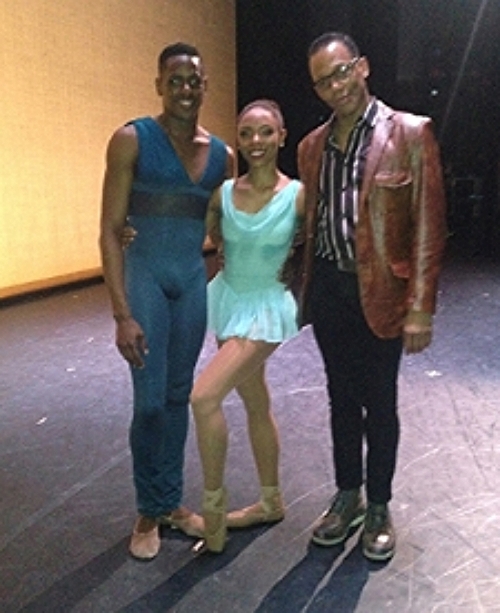 Darius made principal debut in Robert Garland's "Gloria" during DTH's Jazz @ Lincoln Center season. Darius' 2nd Broadway show! He will join the cast of Spider-man: Turn Off the Dark at the Foxwoods Theater. Darius will perform in the 25th Annual "Gypsy of the Year", produced by and benefiting Broadway Cares Equity Fights Aids. He will dance Jeremy McQueen's, "Only the Beginning" and with the cast of Spider-man in "Demons". Darius is featured in Dance Spirit Magazine. In the article, "No Left Turn", he's giving his advice on correcting one sided-ness. Darius will be a guest teacher at the Dance Conservatory at the St. Paul's School For Girls, in Baltimore, MD. Darius will be doing his 3rd workshop of Superfly the musical, directed and choreographed by Bill T. Jones, at Montclair State University. Darius will join the 1st National tour of Memphis. Look for Darius on an upcoming episode of NBC's musical drama Smash. Dancing alongside singer/actress Jennifer Hudson, it will be the 1st episode of the 2nd season, airing on February 5, 2013. Darius will be doing his 2nd workshop of Superfly the musical, directed and choreographed by Bill T. Jones, in South Orange, NJ. Darius will make his Broadway debut in the Tony award-winning musical, Memphis, at the Shubert Theater. Darius will make his Broadway principal debut, going on for the role of "Gator" in Memphis the musical. Darius will participate in the Bill T. Jones directed & choreographed workshop of the new musical, Superfly! Darius will be seen on the CBS' "The Thanksgiving Day Parade", with the cast of Memphis! Darius will perform on the live CBS broadcast of the 65th Annual Tony Awards, with the cast of Memphis! Darius will join the 2010 production of the Radio City Christmas Spectacular! Darius will choreograph on the New York City Ballet, for the New York Choreographic Institute's 10th anniversary celebration. Darius will join the Suzanne Farrell Ballet in Washington, DC. Darius will join the new Metropolitan Opera production of "Aida", choreographed by Alexi Ratmansky. Darius was asked to join the New York City Ballet. Darius will choreograph his 3rd ballet for the New York Choreographic Institute Spring Session. 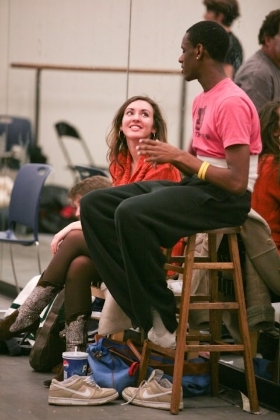 Darius will choreograph 2 small ballets for the first New York Choreographic Institute Summer Session. Darius was invited to choreograph his 1st ballet for the New York Choreographic Institute Spring Institute. Darius was asked to be an apprentice with the New York City Ballet.